Staff and residents at Gracewell of Adderbury care home on the Oxford Road are celebrating after being named one of the top twenty care homes in the South-East – for the second year running. The Top 20 Care Home Awards 2019 highlight the most recommended care homes in each region of the UK as revealed on the care home review website carehome.co.uk. The award results are based on reviews from residents and their loved ones. Gracewell scored a perfect 10 for all of the reviews posted on the site, with residents and family members praising the care home for its beautiful rooms and facilities, the caring and professionalism of its care team and the wide range of activities on offer. Amanda Hopkins, reviews manager of carehome.co.uk, said: “It is only the residents and their families and friends who can give a real insight into what a care home is like, which is why we use their reviews to find the best care homes in the UK. Choosing a care home can be a time consuming and exhausting process so we hope our awards help make the search easier. 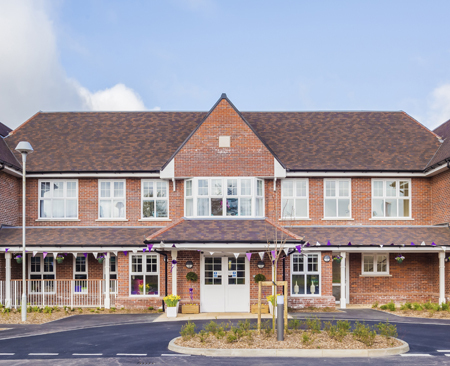 “Gracewell of Adderbury has proved they provide a high standard of care and we would like to congratulate them on being a Top 20 care home in South East England! It is a huge achievement to be recognised for being a top rated care home by the people receiving the care”.